Home » Is your development winter-ready? The clocks have gone back, the temperature is falling, and the block management specialists at Clear Building Management are busy making sure all of our developments are well-prepared for winter. Follow the Clear Building Management property management winter checklist, to help you make sure your property is ‘winter-ready’. Check the heating and hot water system is working as it should be. Emergency calls are expensive and a cold day with no heating can lead to frosty leaseholder relations. Burst pipes can cause a huge amount of water damage. 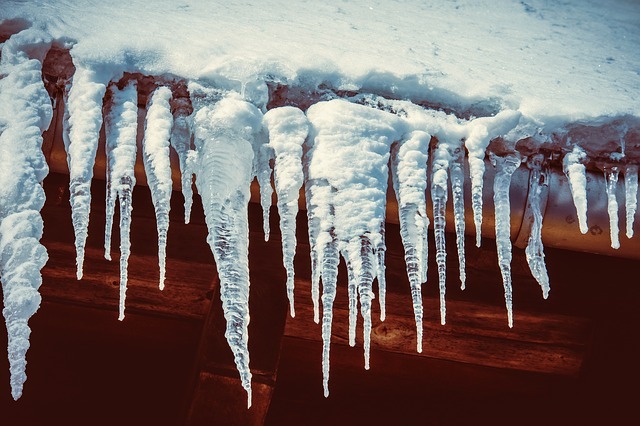 Dramatic drops in temperature that can lead to freezing and thawing can cause pipes to expand and then crack. Ensure all pipes are effectively insulated to stop them from freezing; this is especially important for pipes in car parks and other exposed areas. Check the roof and replace any loose tiles. Bad weather will quickly expose any problems with your property’s roof – problems that could well have been caused by high autumn winds. Anything that compromises your roof’s integrity is going to cause pain during the winter. It will make your tenants unhappy due to the cold and, if there are any leaks, you’ll be picking up an expensive bill. Clear out gutters, downpipes and drains of autumn leaves and debris before frost sets in. This will prevent water from accumulating, overflowing and then freezing. Tidy up the garden and outdoor areas. Prune now and look out for any weakened tree limbs or branches that could fall and cause damage. Stock up on grit. It’s essential to melt ice and clear snow on paths and walkways, so make sure you have sufficient, accessible supplies so you aren’t caught short by an early freeze. Check all the exterior lights are working as they should be. Remind your leaseholders and residents to report any issues promptly. It may also be worth asking residents to let you know if the property will be empty for more than a fortnight during the coldest weather. As a final point, check that your managing agent includes round the clock, 365 days a year service as standard. A white Christmas would be wonderful but, if your pipes burst, will there be someone available to fix it quickly? Clear Building Management is a resident-led property management company. We work with leaseholders and RMC directors to take the hassle out of day-to-day property management, with efficiency, expertise and care. If you think we could help your development, please do get in touch.